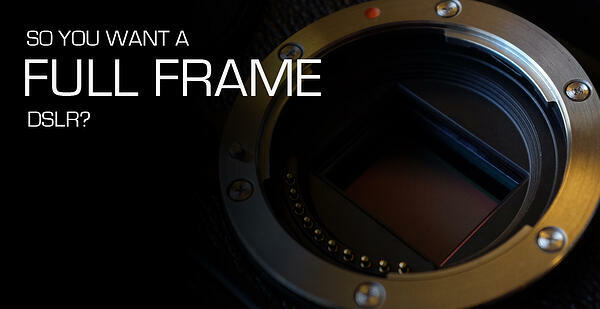 So You Want A Full Frame DSLR? There are so many cameras out there with different types of sensors, which one is right and does the size of the sensor actually make a difference? The answer is yes, sensor size will make a difference to the final image, but it depends on the type of sensor being used. The most common sensor sizes often only use one type of sensor, called the Bayer sensor. This sensor will produce good image quality, especially in higher end cameras. 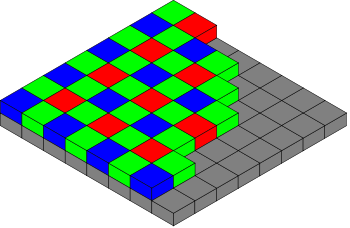 “A Bayer filter mosaic is a colour filter array (CFA) for arranging RGB colour filters on a square grid of photosensors. Its particular arrangement of color filters is used in most single-chip digital image sensors used in digital cameras, camcorders, and scanners to create a colour image.” - source Wikipedia. So now we know what a Bayer filter pattern is, what are the disadvantages of using this common type of sensor found in digital cameras? The major problem manufactures face is something called moiré. Moiré occurs when you photograph a repetitive pattern, like the weave of a shirt. The regular pattern of the shirt combined with the regular pattern of the Bayer filter produces a manifested third pattern called moiré. You can clearly see it in the example video I found on YouTube. What's interesting is this moiré pattern isn’t seen in the final photograph though, why is that? The reason you don't see it is because the majority of cameras have what they call an Optical Low Pass Filter which hides the moiré. Sound confusing? Well it can be if you want it to be. The simple fact out of all of this is, if your camera has an Optical Low Pass Filter to hide Moiré you will find there will be a sacrifice in detail and the final image quality. 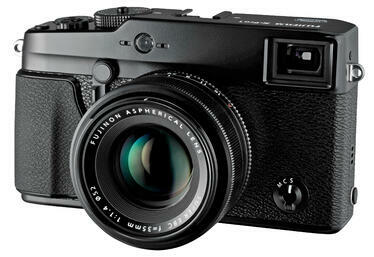 I might ask my colleague Warrewyk Williams, Fujifilm’s National Digital Camera Specialist to explain it further. “The average 35mm “Full Frame” DLSR sensor is handicapped by a device known as an Optical Low Pass Filter. This device hides moiré, produced when repetitive patterns are photographed. Some cameras remove the Optical Low Pass Filter and use processing to remove moiré. In both cases image quality and detail are lost. Now for some of you all this talk about sensors may not even matter, hey you might not even care. At the end of the day many of you may just want to be able to press the button and capture the moment. For me personally, understanding the different types of sensors has made all the difference in the way I take photographs. I used to use Canon and Nikon cameras, which had an Optical Low Pass Filter to capture my weddings, but now with the understanding of the X-Trans CMOS sensor I have more or less seen the light (pun intended). I predominately capture wedding photographs and as weddings are one of the most important times in someone's life, quality is important. Not only does the high image quality show in the final print from my current Fujifilm X-T1, which features the newest X-Trans CMOS sensor, but it also reflects in my own photography business. To finish up, now we understand the different sensor types here’s Warrewyk to answer the age old question...so you want a Full Frame DSLR? “Why? Because a bigger sensor is better, right? Now you understand sensors so this statement made by Warrewyk might make more sense. There's no need to go to a Full Frame when a smaller APS-C sized X-Trans CMOS sensor will produce an equivalent or in some cases better result. I hope I have managed to provide some insight into the difference between a standard Bayer sensor and a Fujifilm X-Trans CMOS sensor. The best way to see the difference is to test two cameras for yourself, one with a Bayer filter and the other with a X-Trans CMOS sensor. So what are you waiting for? 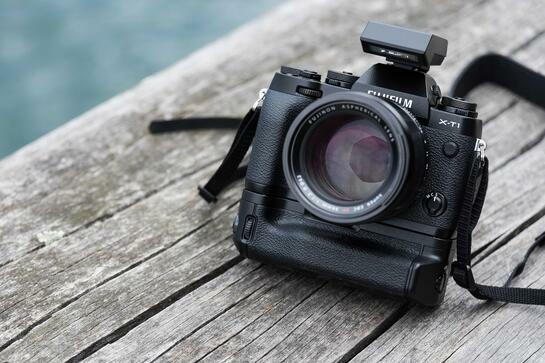 Head into your local cameras store and ask to have a look at a Fujifilm X-Series camera, I'm sure you will be amazed. Disclaimer: Some of these views expressed in this article are my own opinion and may not reflect Fujifilm's views.